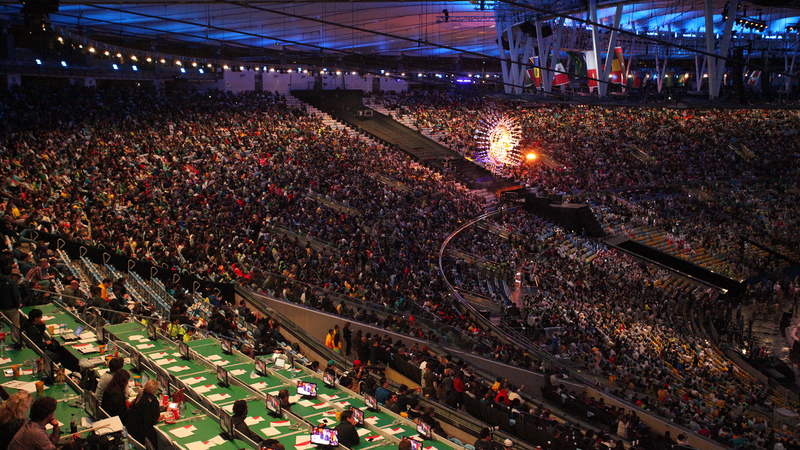 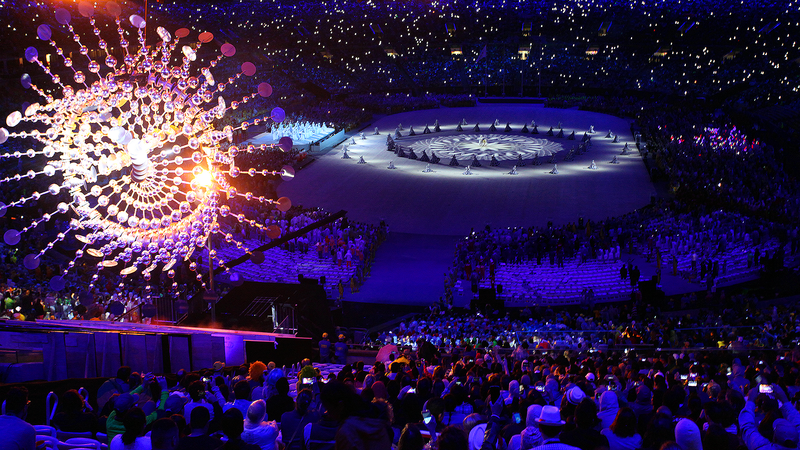 On the evening of August 21st 2016, hundreds of millions of people around the world stopped to watch the closing ceremony of the Olympic Games, the first ever held in South America. 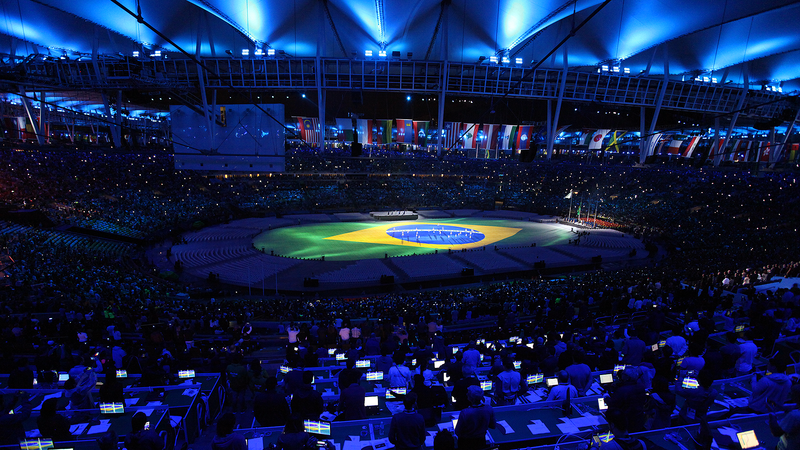 SuperUber, in collaboration with the directors Batman Zavareze, Nathalie Melot, and Cesar Coelho created the video content mapped onto the field with 128 powerful projectors. 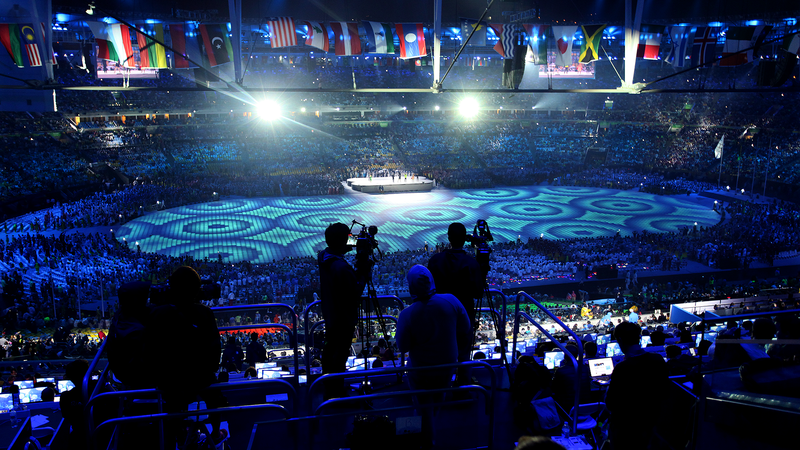 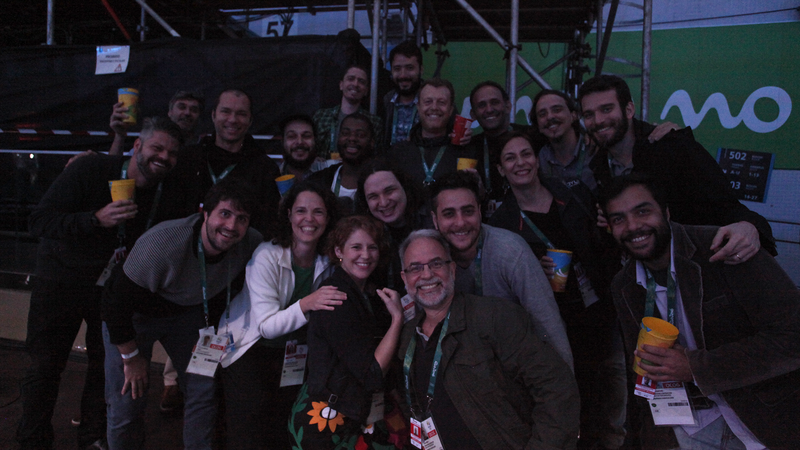 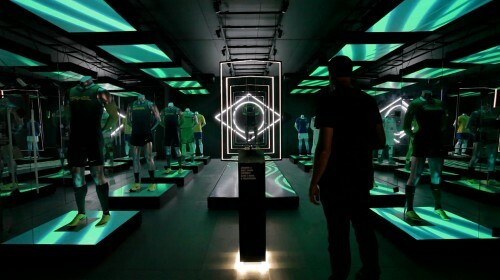 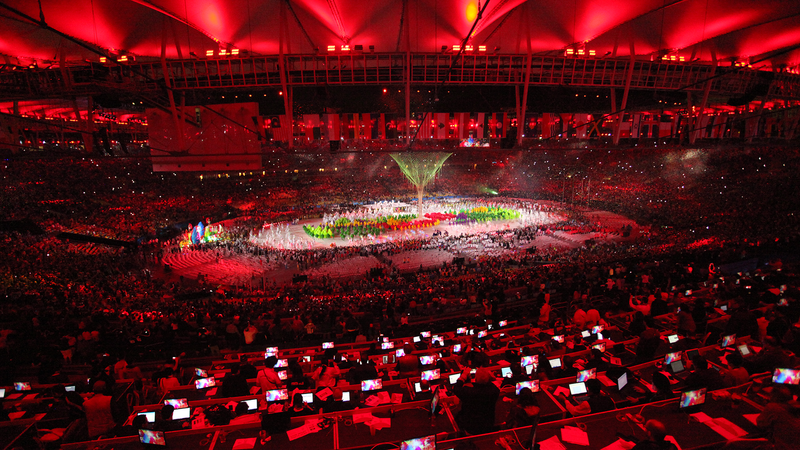 It took months of dedicated work to develop the experience designed by Rosa Magalhães, the creative director of the ceremony. 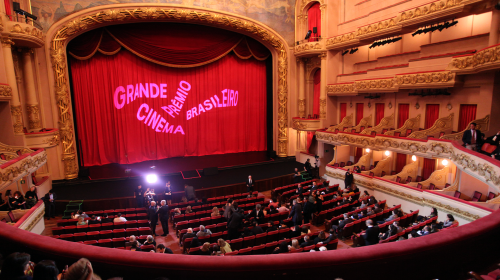 Animations honored Brazilian personalities such as Santos Dumont, Carmen Miranda and Burle Marx. 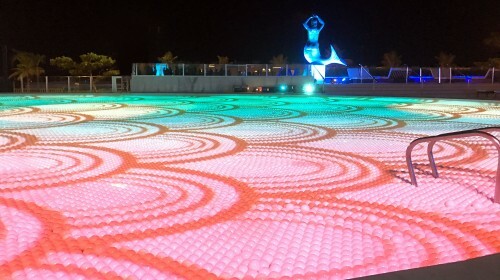 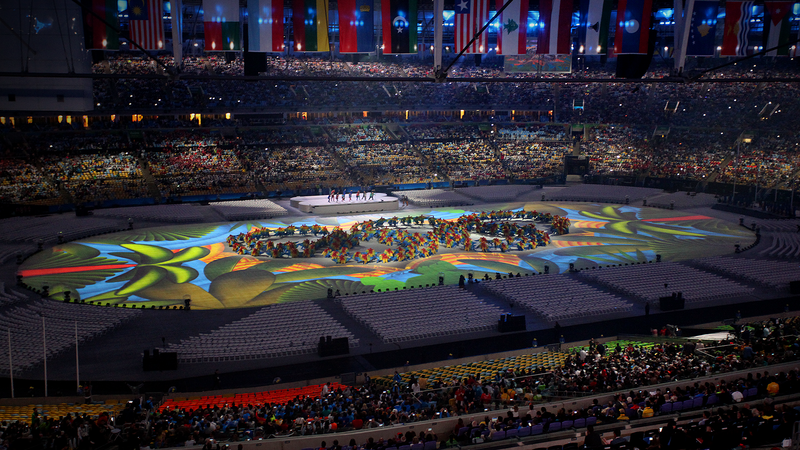 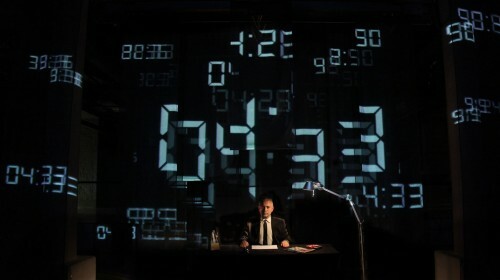 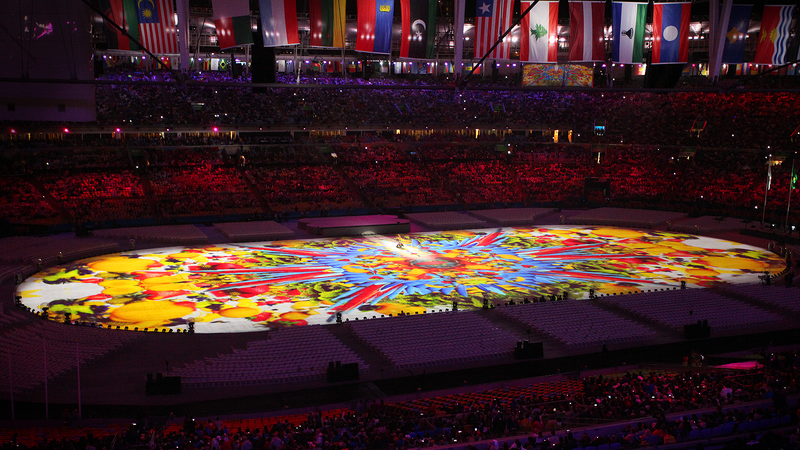 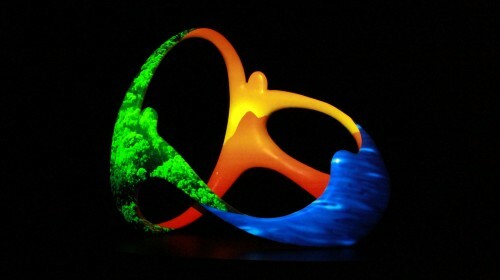 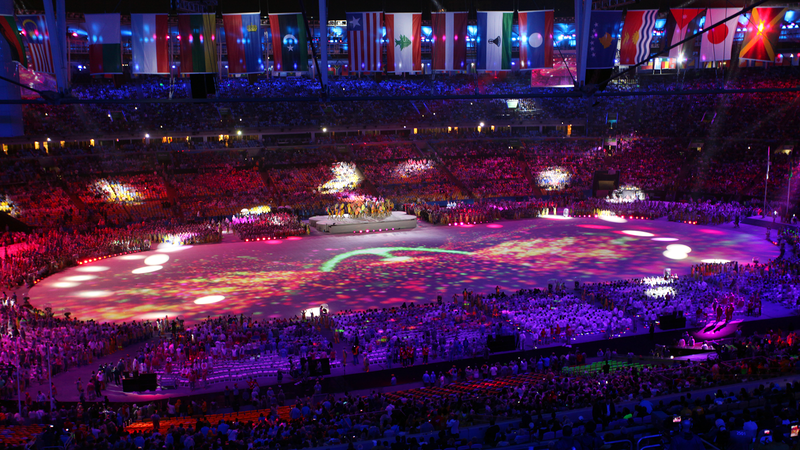 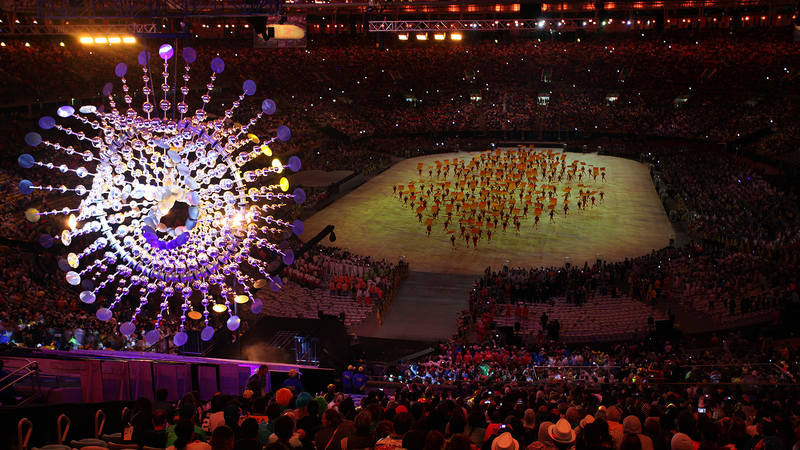 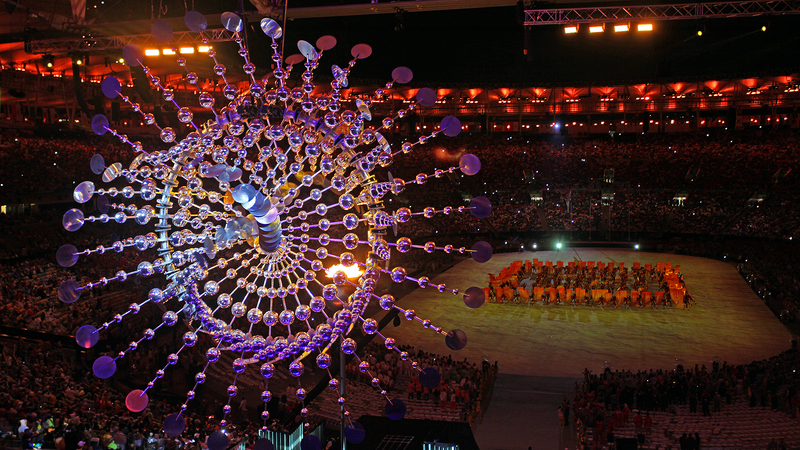 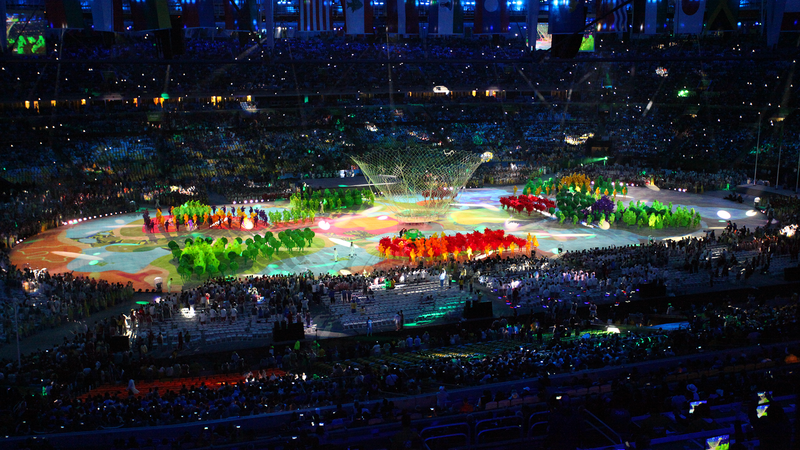 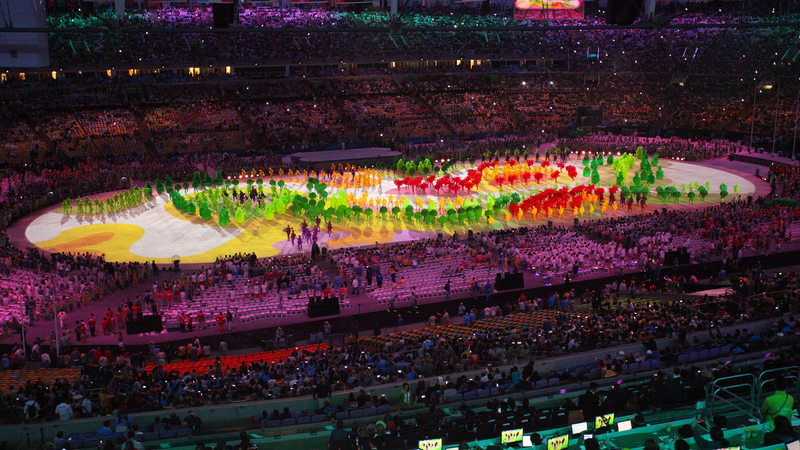 In the “People’s Art” segment, Brazilian artistic expressions created memorable moments, like the poetic design of the lace maker that lit up Maracana, and the poetry of Arnaldo Antunes told with a visual interpretation of the Portuguese word “saudade”, and its translations into multiple languages. 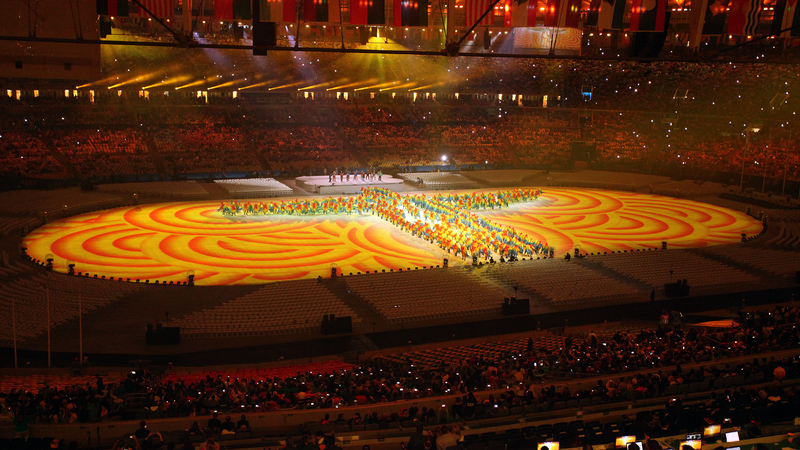 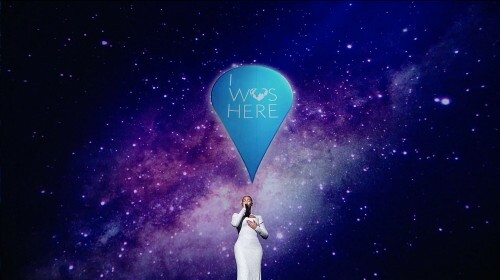 The video content was synchronized with the choreography directed by Bryn Walters, creating dynamic backgrounds for the human formations of Sugar Loaf and Christ the Redeemer. 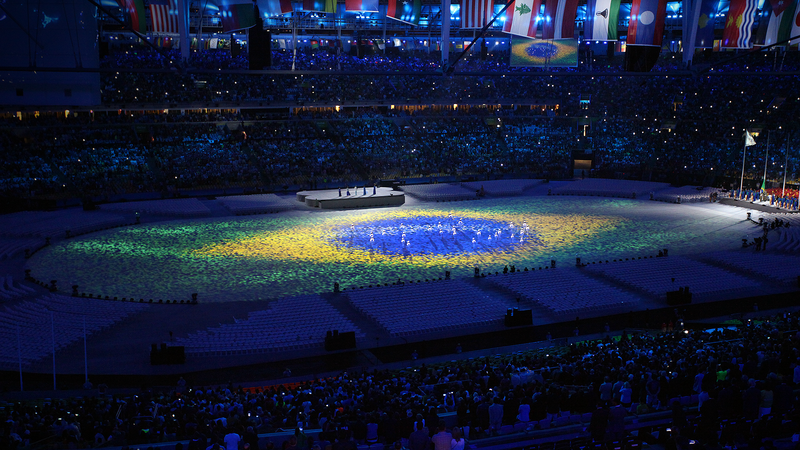 An explorer’s torch revealed cave paintings of Serra da Capivara from northern Brazil. 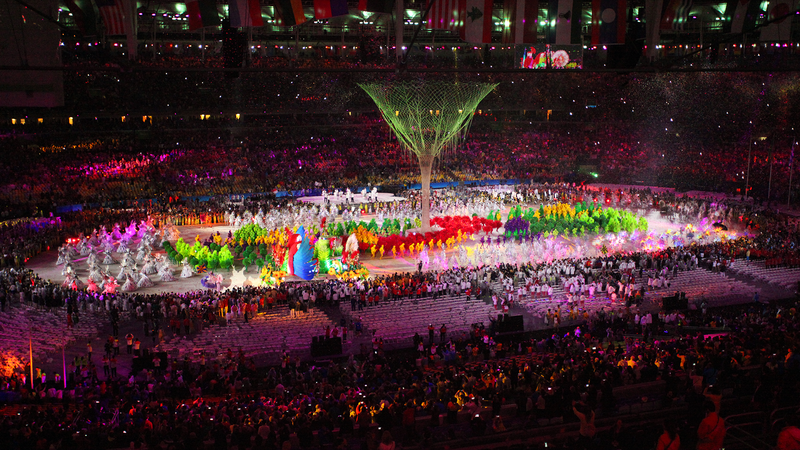 The public saw the ground crack during a big forró party, animated by the characteristic clay dolls of Mestre Vitalino.